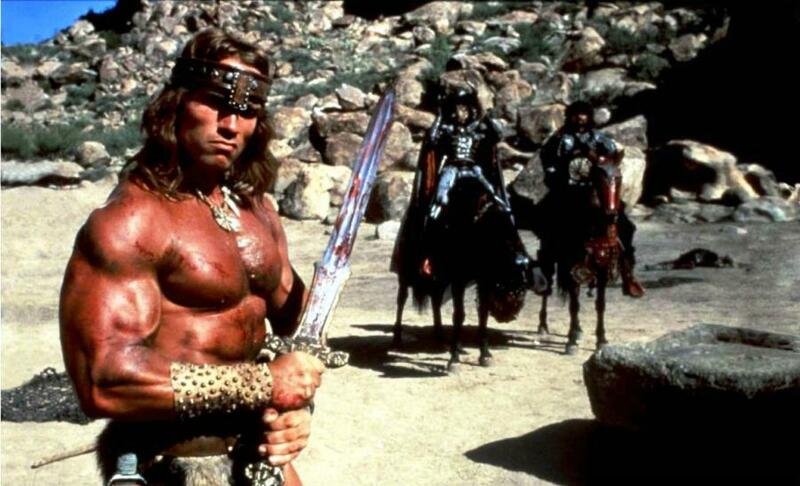 When it was first released in 1982, Conan the Barbarian didn’t exactly wow the critics. Arnold Schwarzenegger had the physique to play the leading role, but his thick accent and a distinct lack of acting skills caused studio executives to question Ed Pressman’s choice of leading man. But the executives were proven wrong, and this movie launched Schwarzenegger’s movie career and secured for him a place in the hearts of moviegoers everywhere. 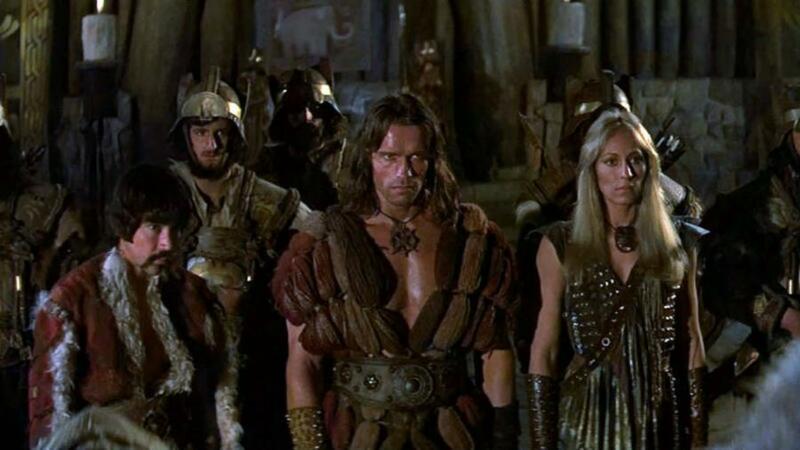 Take a look through the slides and find out why, despite the lack of love from the critics at the time, Conan the Barbarian became the cult classic we know and love today. 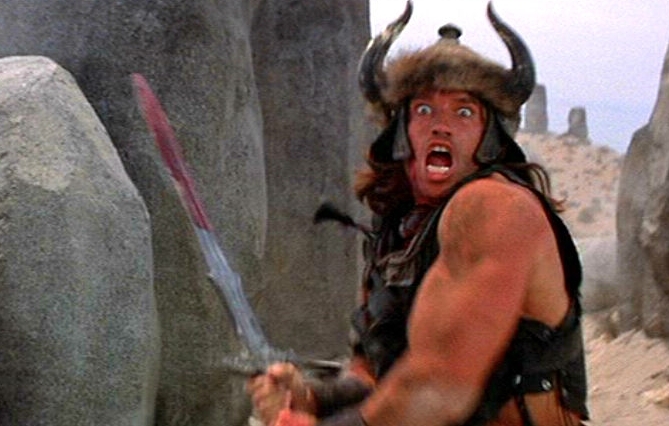 Schwarzenegger was 33 when the filming of Conan began and he had been out of the bodybuilding circuit for a few years. He expended such an attempt regaining his shape for the role that he decided to come out of retirement and enter Mr. Olympia one last time in 1980. He won. The role of Thulsa Doom was offered to James Earl Jones because of his distinctive, deep booming voice. Jones was already a successful actor of stage and screen, despite the fact that when he was a child, he suffered from a terrible stutter. He barely spoke until a high school teacher helped him overcome his disability. The producers were unable to find any body doubles for either Arnold Schwarzenegger or Sandahl Bergman, so both actors did all of their own stunts. It was also the first time either of them had ever done a love scene in a movie, and they both spoke afterward about how awkward they felt. Wait until slide number 4 to discover what else Schwarzenegger did. The fake blood used in the movie came to the set as a concentrate that had to be mixed with water. However, the severe cold meant they had to mix the concentrate with vodka to prevent it freezing. As a consequence, when actors had a scene where they spat out blood, many of them would drink it instead and make repeated trips back to the special effects guys for more. To achieve the incredibly realistic look of the clothes in the movie, producer Dino De Laurentiis had the cast wear them during the rehearsals as well as in the film itself. Throughout the entire filming schedule, the costumes went unwashed until the final shot and are said to have had an authentic smell by then too. See what else they did to make the movie realistic on slide number 3.